Use of the Balalji Frieght Logistics Website. The terms and conditions mentioned here applies only to those parts of the balajifreightlogistics.com website which do not need any digital certificate or other any security devices to access the site. References to "website" below shall be applied to Balalji Frieght Logistics here. This website is made available by Balalji Frieght Logistics Any third party or users who access or browse this website or download or use any information, data, text, images, video or audio or any other materials available on the Balalji Frieght Logistics through this site or generated via, posted or uploaded to the website (" Content") or otherwise request, use or receive any services or facilities ("Services") via the website ("User") may only do so subject to: (1) the terms and conditions set out below and (2) any additional instructions, terms or conditions on the website that apply to specific 'Content' or 'Services' that the User uses (such additional instructions, terms and conditions to prevail over the terms and conditions below to the extent of any inconsistency), together referred to as the " General Website Terms". Access to or use of this website or any Content or Services available via the site shall mean 'acceptance'to and by the User to the Gener	al Website Terms. If the content or services on the website is used or accessed or received by User on behalf of any third or external party (including any corporate body), that party shall also be bound by the General Website Terms as if that external party were a User. The User represents and takes the warranty that he/she is authorized by any such party to bind that party to the General Website Terms. The User shall gain the waiver of any moral rights in any information, data or other content or materials posted or uploaded by the User to the website ("User Materials"). The User hereby irrevocably authorisesBalalji Frieght Logistics and its licensees to use any User Materials for all reasonable business purposes, including without limitation copying, amending, incorporating in other materials, publishing or otherwise providing to third parties (and permitting such third parties to use and sublicense) anywhere in the world any such User Materials. The User agrees to take any actions (including filling, completing or uploading any further document) that may be statutorily, contractually or otherwise required in any jurisdiction to give effect to this clause. The terms of any contract with Balalji Frieght Logistics is separate from the General Website Terms and this shall not affect, or form part of each other The User shall gain the waiver of any moral rights in any information, data or other content or materials posted or uploaded by the User to the website ("User Materials"). The User hereby irrevocably authorisesBalalji Frieght Logistics and its licensees to use any User Materials for all reasonable business purposes, including without limitation copying, amending, incorporating in other materials, publishing or otherwise providing to third parties (and permitting such third parties to use and sublicense) anywhere in the world any such User Materials. The User agrees to take any actions (including filling, completing or uploading any further document) that may be statutorily, contractually or otherwise required in any jurisdiction to give effect to this clause. Balalji Frieght Logistics does not warranty or states that the User's or any other party's use of the Content or the Services available via the website will not infringe rights of third parties. Balalji Frieght Logistics will use reasonable plans to ensure that the Content accurately reflects either (1) the relevant part of Balalji Frieght Logistics records held on Balaji Trans computer systems or (2) information received from a party external source or party than Balalji Frieght Logistics does not warrant that the Content is accurate, sufficient, error free, complete or up to date at the time it is accessed. The User should make necessary enquiries to gain confidence about accuracy and completeness of any Content before relying on it. For content marked as indicative only, Balalji Frieght Logistics makes no warranties at all in relation to its quality, accuracy, completeness or timeliness. Except as set out in the General Website Terms, Balalji Frieght Logistics shall have no liability whatsoever for breach of any implied warranty, term or condition that might otherwise apply including (without limitation) in relation to the operation, quality or fitness for purpose of the website or any Content, User Materials or Service, or the use of reasonable skill and care. The User is solely responsible for the accuracy and completeness of any User Materials. The User need to make sure that the User Materials do not infringe any Intellectual Property Right or other right of any third party and are not defamatory, unlawful, immoral or otherwise likely to breach or infringe any right or requirement or to give rise to any claim for loss or damage by any third party. The User shall guarantee and hold harmless Balalji Frieght Logistics and its affiliates, associates and agents against any claims, losses, actions, proceedings, damage or other liabilities whatsoever (including damages or compensation paid by Balalji Frieght Logistics to compromise or settle a claim), and all legal costs or other expenses, suffered by Balalji Frieght Logistics or its affiliates and associates as a result of any actual or potential breach by the User of its obligations under this clause. The website may contain third parties websites (not operated by Balaji Trans Carriers) links or references to websites. Balaji Trans Carriers under no circumstances makes any warranties or represents any other site. Balaji Trans Carriers does not have hold of third party sites content or services. These sites are separate and independent. Balalji Frieght Logistics does not recommend any external websites, and does not agree to any responsibility for the existence, operation, content or use of such website. A User may place hyperlinks to any unrestricted area of this website provided that the User complies with the following terms or any other terms posted on the website from time to time. The User: (1) may link to, but shall not, except with Balalji Frieght Logistics 's prior written agreement, replicate in any way any Content appearing on the website; (2) shall not create a border environment or browser around or otherwise frame any Content or create any impression that the Content is supplied or owned by any party other than Balalji Frieght Logistics ; (3) shall not present misleading or false information about Balalji Frieght Logistics , its services or Content; (4) shall not misrepresent Balaji Trans Carriers relationship with the linking User (or any third party); (5) shall not create any implication or inference that Balalji Frieght Logistics endorses the linking User or its services (or any third party); (6) shall not use or reproduce Balalji Frieght Logistics logo, trademarks or name; (7) shall no	t provide or display any content that could be interpreted as offensive, libellous, defamatory, distasteful, discriminatory, pornographic or inappropriate in any other way; (8) shall not display or provide materials, content or anything else that might violate any law of any jurisdiction or infringe any Intellectual Property Right; and (9) must clearly indicate that the Balalji Frieght Logistics website is operated by Balalji Frieght Logistics and is not controlled by or otherwise associated or connected with the linked website, and that Balalji Frieght Logistics terms and conditions apply in relation to any use of the Balalji Frieght Logistics website. Any User can be asked to remove any link placed on or to any area of this website without stating any reason on priority basis. The User shall not permit any third party aggregator of information to access or retrieve information from this website on the User's behalf. The User may not in any way run any software programs, scripts, macros or similar materials against or in relation to any part of the website as these could endanger, compromise or hamper the stability and operation of the website or infringe rights in or relating to the website or any materials appearing on it. The User agrees to comply with any reasonable instructions Balalji Frieght Logistics may issue regarding the website's security. The User must promise that he/she does not perform any tasks during access of the site or after access to or use of the website, Content or Services which might result in the security of the website, or the systems or security of Balalji Frieght Logistics or any other users of the website, or any Balalji Frieght Logistics customers or associated or affiliated companies, being compromised. Both the User and Balalji Frieght Logistics shall take all necessary preventive steps to ensure that communications through the website and its own systems are not affected by in amy ways by computer viruses or other destructive or disruptive components, and to ensure no such components are transmitted to or via Balalji Frieght Logistics or the website. Except as set out in the General Website Terms, in no event shall Balalji Frieght Logistics , its affiliates, associates or any other entity associated with Balalji Frieght Logistics be liable for any damages whatsoever (including, without limitations, incidental and consequential damages, lost profits, or damage to computer hardware or loss of data or business interruption) resulting from the use or inability to use the Web Site or the Web site material, whether based on warranty, contract, tort, or any other legal remedy. Balalji Frieght Logistics will not be liable for any loss (including without limitation loss of profit), damage, delay or failure in performing any of its duties relating to the General Website Terms caused in whole or in part by the action of any government or governmental agency, natural occurrence, law or regulation (or any change in the interpretation thereof), injunction, currency restriction, sanction, exchange control, industrial action (whether involving its staff or not), war, terrorist action, equipment failure, interruption to power supplies or any force majeure or any other situation whatsoever beyond its reasonable control. The General Website Terms supersede all previous agreements, communications, representations and discussions between the parties relating to the website. No party will have a right of action against Balalji Frieght Logistics arising from any previous agreement, communication, representation and discussion in respect of the website (except in the case of fraudulent misrepresentation), and neither party shall rely on any terms, warranties, representations or conditions other than those expressly stated in the General Website Terms. No modification or waiver of the General Website Terms shall be binding on Balalji Frieght Logistics unless it is in writing and agreed by an authorised representative of Balalji Frieght Logistics. The rights of Balalji Frieght Logistics under the General Website Terms may be exercised as often as necessary and are cumulative and not exclusive of its rights under any applicable law. Any delay in the exercise or non-exercise of any such right is not a waiver of that right. The User may not assign, part with or otherwise transfer any right or benefit under any provision of the General Website Terms without Allcargo Logistics Ltd's prior written consent. Subject to clause 2, Balalji Frieght Logistics may at any time and without notice or liability change, improve or remove any Content or any Services available via the website, or the General Website Terms. 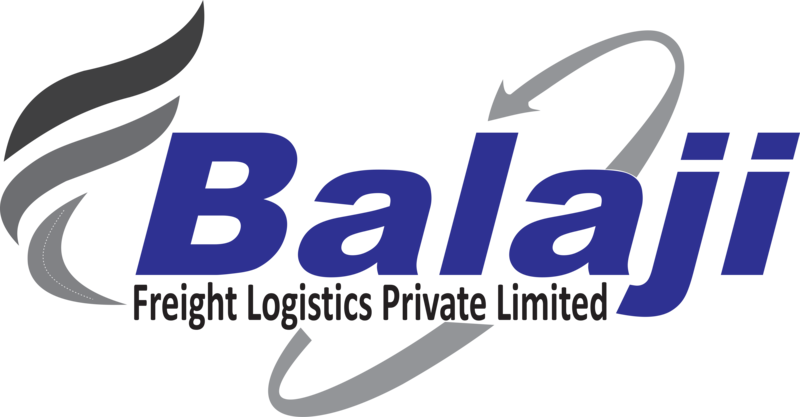 Balalji Frieght Logistics may assist or co-operate with authorities in any jurisdiction in relation to any direction or request to disclose personal or other information regarding any User or the use of the website, Content or Services. To the extent that clause 8.10 is not effective to give such benefit to any Relevant Third Party, such Relevant Third Party may enforce such provisions in its own name as it may deem fit. The General Website Terms may be varied or rescinded, by agreement or in accordance with their terms, without the consent of any Relevant Third Party. The General Website Terms shall be subject to Indian law and any dispute, claim, matter of construction or interpretation arising out of or relating to the website, including the General Website Terms, shall be subject to the exclusive jurisdiction of the courts of Mumbai, India.